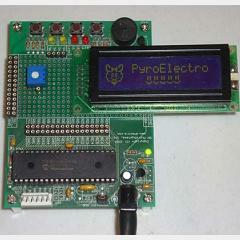 Today’s PyroElectro Tutorial shows you how to output custom character images to a 16×2 LCD module. In addition to learning how to build your own characters, I threw in a little tid-bit about animation on these LCD modules. Enjoy! it really helps me alot. very useful data base on this site.